Netcare 911 responded to reports of a collision on the N3 Eastern bypass in Bedfordview. Reports from the scene indicate that two heavy motor vehicles were involved in a collision. Two adult males sustained sustained serious injuries and were treated on scene by an Advanced life support paramedic. 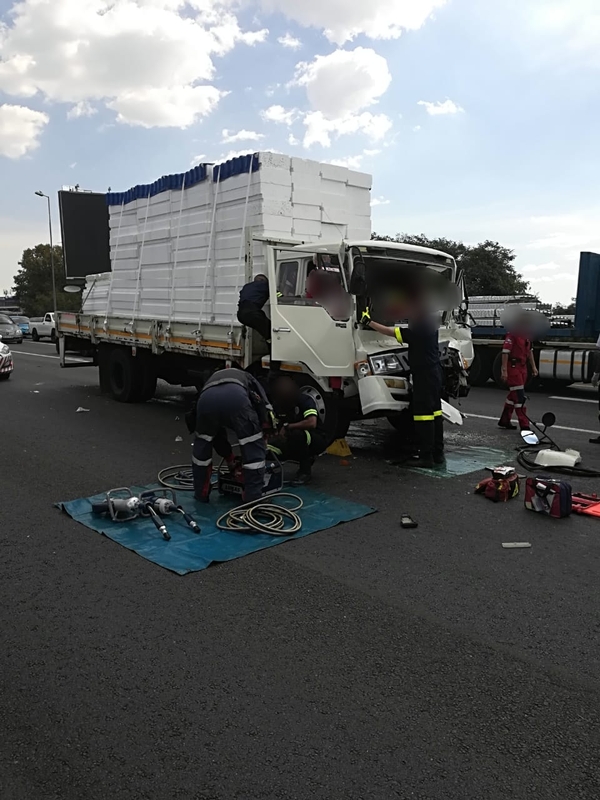 The Netcare 911 Rescue technician as well as the Fire and Rescue Services had to use the “Jaws of Life” to free the trapped occupants. Once treated all the patients were transported in a serious condition by ambulance to hospital for further treatment.